When you hear young girls refer to each other as BFFs, a certain image comes to mind. But down in the Gutter, best friends forever means something entirely different. Henry thought a shovel with a plastic handle would have been easier on his hands, but it wasn’t. A foot down into the earth and the blisters were starting to rise up from his palms like toadstools after a heavy rain. They were hurting him now, turning an angry shade of red and threatening to burst. But he kept digging. Quitting wasn’t an option. He looked up and saw George sitting on the trunk of a fallen oak, his head hanging, eyes on his feet. The gun was clutched in both hands with the barrel tipped toward the ground. Sometimes he tilted it to one side or the other, as if he was trying to get used to the feel, or maybe just trying to accept the incredible power that such a small thing held. Henry tried hard not to dwell on it. He hunched over and drove the blade of the shovel into the hard clay, scooped out another chunk and cast it aside. Three feet would be enough, he figured. They could both agree on that. 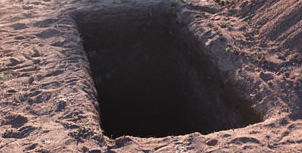 Good and deep enough to keep the animals from digging up the body. Still, part of him wanted to dig deeper. He needed time to think, time to sort it all out in his head. They both did, he thought. This wasn’t going to be easy. With every shovelful he tried to make himself accept it. He had been told that it made things easier, that all the fear and sadness would fade away, replaced by a functional numbness. God, he hoped he would feel that by the time he finished digging the hole. If he didn’t, he wasn’t sure how he was going to manage. Even now, as he cleared a second foot of dirt, he could feel it growing inside him, a terror so powerful his hands were beginning to shake. He looked up and saw that George wasn’t doing much better. His arms were pressed tight against his ribs and the gun was resting between his knees. Henry could see the tremors and the tears. George looked up, his eyes suddenly sharp and defensive. 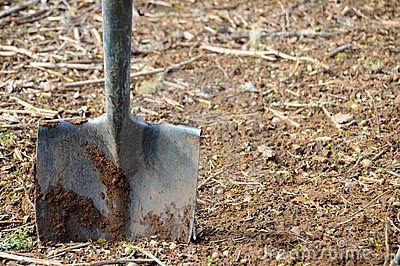 Henry looked down at the shovel, thinking he was going to keep digging. He pushed into the soil and then stopped. He looked up at George again. Henry lifted the shovel and started in again. The pain wasn’t so bad now. He realized he was being a little selfish about the whole thing. He had barely considered how hard it was for George, the shame and guilt and fear that it taken to even come out here, to make that kind of decision. In the same position, Henry would probably have felt the exact same way. So he dug. He worked slowly and resisted the urge to look up at George and try to reason with him. As the sun began to dip below the treetops, the hole reached three feet. He considered giving it one more, but there really wasn’t much point. It had to happen eventually. He tossed the shovel into the grass and looked up at George. George looked up from his lap. For a moment, his eyes wandered in a daze and then found Henry. Henry pulled himself up and stood. He looked at George, a weak smile on his face. For a moment, time seemed to jump back 20 years ago. They were just a couple of high school friends, meeting out behind the gym for batting practice. He saw George’s hands tremble. “You know you don’t have to do this,” Henry said. He tightened his grip on the gun. Henry took a deep breath and closed his eyes, knowing he had only one chance to make this right. George clenched his jaw, the cords in his neck swelling. Henry glanced at the hole. The setting sun had thrown a deep shadow into it, making it appear bottomless. He turned back to George and saw that the gun was lower now. He took half a step forward and held out his hand. George kept shaking his head, squinting hard, biting his lip. Henry moved his hand closer. His fingers brushed metal. George didn’t pull away. Slowly, Henry wrapped his hand around the barrel and pulled it free of George’s grasp. For a moment they both stood there, and then George began to sob. George’s face froze, eyes bulging. Dyer Wilk’s fiction has appeared online at Shotgun Honey, Beat to a Pulp, Out of the Gutter, and Thrills, Kills ‘n’ Chaos. His story Dry Lightning appeared in Trouble in the Heartland anthology from Gutter Books. A lifelong resident of California, he is currently at work on a novel.